Our range of products include lathe machine, heavy duty lathe machine, lathe machine semi geared, all geared lathe machine, facing lathe machine and light duty lathe machine. Known as a reliable manufacturer, supplier exporter and trader, we are engaged in offering premium quality of Lathe Machine to our valuable patrons. Manufactured as per the industry set norms, the offered machines are used in various industries for shaping different metals. 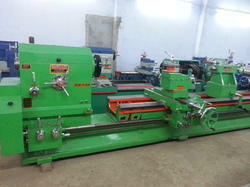 Their easy operation, low power consumption and longer serving life, makes these lathe machines highly demanded. Owing to our rich experience and knowledge of this domain, we have been able to offer the best quality of Heavy Duty Lathe Machine to our valuable patrons. For the purpose of shaping different ferrous and non-ferrous metals, the offered heavy duty lathe machines are widely used in various industrial applications. Large production line has helped us in meeting the bulk demands of these lathe machines in the most efficient manner. We are one of the leading manufacturers, suppliers, traders and exporters of the premium quality of Lathe Machine Semi Geared. The offered lathe machines find wide applications in different industries for shaping various metals. By using advanced machinery and equipment, we manufacture the offered lathe machines in compliance with the industry set norms. Width of Bed 14" 16" 18" 20" 22" 24"
Height of Centre 12" 14" 16" 18" 20" 22"
Spindle Bore 3" 3" 4" 4" 4" 4"
Swing in Gap 36" 42" 52" 55" 60" 68"
Admit between Centre 38" 54" 72" 96" 120" 138"
Leading Screw Dia. 1.1/4" 1.1/4" 1.3/4" 2" 2" 2.1/2"
Being a reputed name, we are engaged in offering the best quality of All Geared Lathe Machine to our valuable patrons. Used for shaping metals, the offered machines are known for their energy efficient design and user-friendly operations. Rigorous quality assurance procedures ensure that the premium quality of the offered lathe machines is never compromised at our end. These Facing Lathe Machine are made by quality base material is being used in the designing of these complicated ranges of machinery. 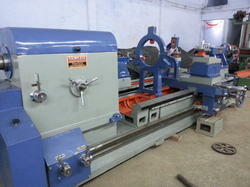 These precisely designed facing lathe machines are capable of functioning of long consecutive hours. These machines are capable of creating large diameter hole, if rough surface area is provided. These machines are available with us in a wide variety of sizes to meet the exact requirements of the clients. 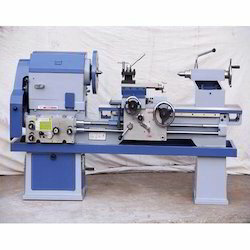 These lathe machines are offered in various models and in standard and customized solutions with features of flexibility, durability and have high maintenance. Owing to perfection and quality oriented approach, we have carved niche in the industry by offering an enormous grade array of Light Duty Lathe Machine in India. This Light Lathe Machine is fabricated using standard quality components to ensure its long working life and low maintenance. We assure our reputed clients that our offered array is quality tested on industry defined parameters. Highly efficient in tapering, turning and slotting internally and externally, we avail this lathe machine at highly competitive prices with no hassle. 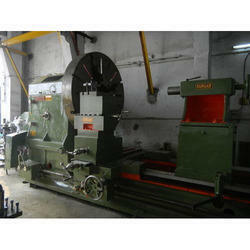 Our organization is engaged in offering a comprehensive range of Medium Duty Lathe Machine. The offered range of lathe machines is fabricated using superior quality raw material for ensuring durability and reliability of the same. 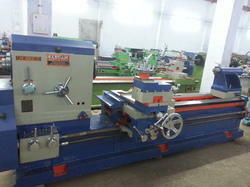 These lathe machines are widely used in the fabrication, engineering and construction industries. Further, to meet the diverse requirements of clients, we are offering these machines in standard as well as customized forms. 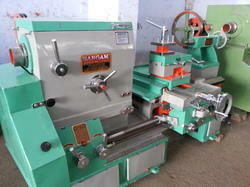 We are the most prominent manufacturer and supplier of quality-assured V Belt Driven Lathe Machine. 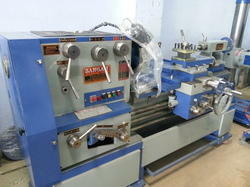 These V-Belt Lathe Machine offered in simple design and robust built. Designed to produce optimum performance, our machine offers easy operation and higher productivity. We utilize selected material to ensure these are made of fine quality material. We assure our clients that engineered by us, these v-belt lathe machine will offer long trouble free service. Clients can avail from us superior quality Guide Roller at competitive rates. These rollers are developed under the supervision of expert professionals using supreme quality raw material and highly advanced machines. Moreover, the offered rollers are available in different specifications that help in fulfilling the diverse requirements of our clients. Supported by the love of the clients and with the assistance of cutting edge technology, we are manufacturing, supplying, trading and exporting Extra Heavy Duty Roll Turning Machine. Finding extensive application in the industries for related purposes, these roll turning machines are renowned for their long service life and are equipped with high precision components for the smooth operation. 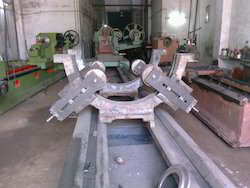 Meanwhile, these heavy duty roll turning machines are available at feasible prices to the clients. 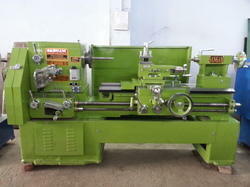 Looking for Lathe Machinery ?